Indications are Seattle fans are hungry for hockey after the group behind an NHL expansion bid received over 25,000 season ticket deposits. Not only do they not have a team, they don't yet even have an arena to play in. But that didn't stop thousands of hockey fans in Seattle from getting out their credit cards to make a deposit on season tickets in a drive aimed at proving just how much the city wants an NHL expansion team. According to the @NHLSeattle twitter account, it took just 12 minutes for the group to reach its goal of selling 10,000 season ticket deposits after sales opened at 10 a.m. PT Thursday. Over 25,000 deposits were received in less than a half hour for seats in the yet-to-be renovated KeyArena which will only hold 17,500 people. Fans plunked down either $500 per regular season ticket or $1,000 for club seats, which are located on the lower-level near centre ice. 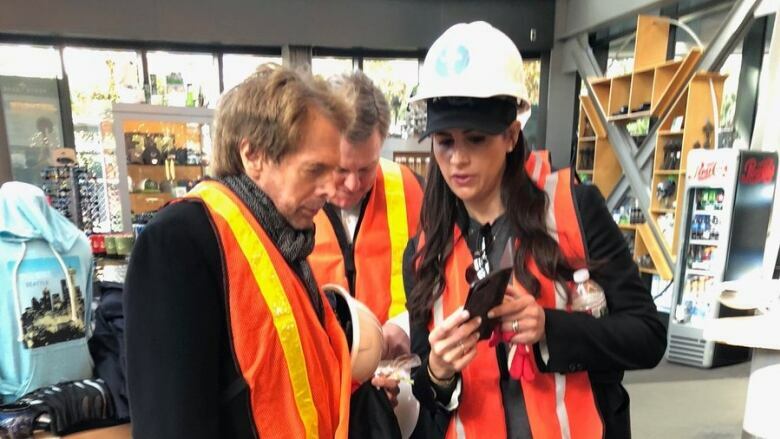 Billionaire David Bonderman and filmmaker Jerry Bruckheimer are leading the effort to bring a team to Seattle. The group submitted its expansion application with the National Hockey League two weeks ago. The expansion franchise process is running concurrent with a $660 million remodel of KeyArena being privately financed by the Oak View Group. The group has an aggressive timeline for construction that could have the renovated building open in time for the 2020-21 NHL season. If Seattle is successful in its expansion bid, the new franchise would bring the league to an even 32 teams with 16 in each conference, while providing a new geographical rival for the Vancouver Canucks. A new team would also yield a hefty expansion fee — in the neighbourhood of $650 million U.S.